Location, location, location! When it comes to the wonderful world of e-sessions, the location that the lovebirds choose can make all the difference from an ordinary to an extraordinary shoot and this e-session by D. Park Photography has us shouting, aahhh-ma-zing! This elegant, with a dash of vintage flair photo session has us smitten over three things: the charming lovebirds, the stunning lighting, and lastly, you guessed it… the location! 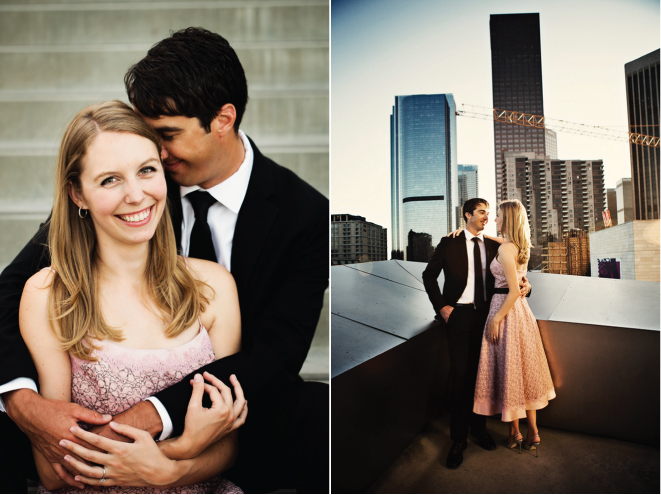 D. Park Photography + these two cuties opted for a romantic & very sweet engagement session at none other, than the Walt Disney Concert Hall. Sally + Michael could not have picked a better location that epitomizes their fun and sweet loving characters. We can’t wait to see their wedding photos!